This morning, I met the part of my deadline for the spring projects I will be gifting tomorrow. I completed two sets of coiled rope plate mats and heart-shaped bowls; along with a small coiled bowl and a rock painting. There is still one more coiled project to do for one of my three sons. I have an extension on the deadline, since he does not live close by and we will not be meeting this weekend. Since I have working to meet this deadline, and meeting with daily life events, I have not been able to work on the hexagon block for my quilt journal. I have the design in my head, but I just have not had the time to work on it. I plan to try something new with this block. Tierney posted some work she did with fabric painting. She also posted some great information on good habits that can change your life. Also, my friend, Jeana, who does my long arm quilting, has been encouraging me to try some fabric painting. I spent my non-coiled mat making minutes viewing fabric painting tutorials and trying things out. I just played with the paint on different fabrics. Hopefully, when I return from visiting with two of my sons, I will get started on painting the fabric for my hexagon block. Melanine, of Catbird Quilt Studio, posted some great essays and thoughts on creativity. Reading these posts gave me the encouragement I needed to persist on this new fabric painting venture. 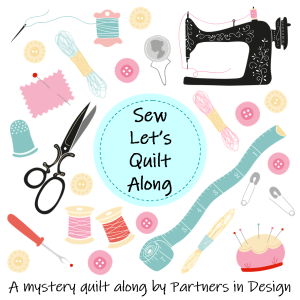 I know it seems that I am going in many different directions…rope baskets, improv quilts, quilt journal, fabric painting…but that is the way I work. For better or for worse. It would probably be better to focus on one thing at a time, but I have never been able to stay focused for too long. But I am okay with this… I am having so much fun!